Did you just find a perfect camp, but wondering how you'll afford it? Are you to sign up for camp due to the financial implications? Don't worry! We don't want you to break the family budget sending your kids to camp, so each day we're adding new camp coupons, offers and discounts on this page of our site to help you save money at camp this summer. And even if your favorite camp isn't listed here, you might still be able to save a few bucks using few simple strategies to help you afford the bill. 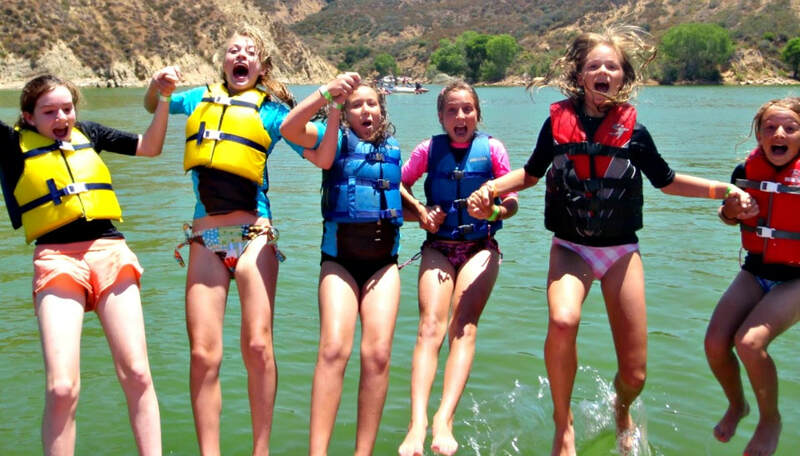 Save $25 off L.A.'s most comprehensive beach and surf summer camp program! 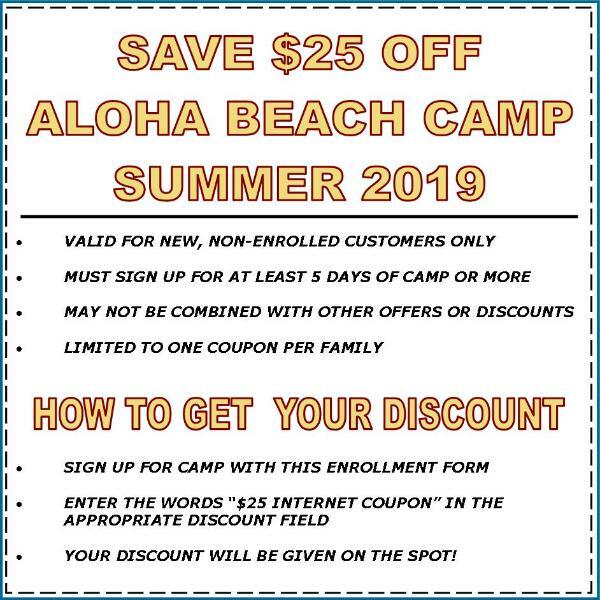 Aloha Beach Camp is the only summer beach camp licensed by the Los Angeles County Department of Beaches & Harbors, permitted by the Los Angeles County Department of Public Heath, and Accredited by the American Camp Association. This means the camp's undergone thorough, on-site reviews of its operations, health and safety practices, hiring procedures, program design, and 300 additional best-practice standards relating to a quality camp operation. No other L.A. beach or surf camp has come close to achieving this status. So if safety, quality, and peace of mind are important to you, choose Aloha Beach Camp for your child this summer! Sign up now for 5 days of camp or more and get a $25 discount on the spot. Use Code: "Save$25" at checkout.